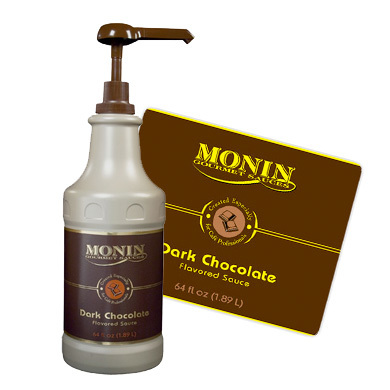 Monin dark chocolate sauce has an authentic and great strong bold chocolate flavour taste. Incredibly creamy, smooth, rich and perfectly balanced texture. 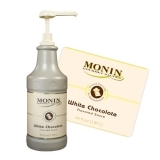 Due to its smooth texture Monin Dark Chocolate sauce allows you to create unique hot and cold mochas. It can also be used for glass drizzling or indulgent toppings. I particularly like to mix it with Monin Mojito Mint syrup in a mint mocha. This is a large 1.89 litre catering size bottle of sauce. You will need to buy a sauce pump to dispense.